In 2010, the Nissan Leaf was one of the pioneers of electric cars in the market. For those who may be unaware, the Nissan Leaf is the best-selling electric car in the world. More than 83,000 vehicles were sold in the US and more than 286,000 vehicles worldwide. But today, the BMW 530e, the VW e-Golf, the Chevrolet Bolt EV and the Hyundai Ioniq are also part of the electric car market. Battery technology and safety aids have also seen a significant evolution since 2010. Today, the competition has grown, so the Nissan management thought it wise to rearm by introducing the 2019 Nissan Leaf. Just take a look at the new 2019 Nissan Leaf, you will see the fresh new look. The previous model had convex headlights, an angled front and a larger back end. This has all changed for 2019: the new Leaf wants to divide the opinions and become more consensual. This is not a bad thing at all, in fact, it’s a great thing: it displays a more dynamic air, the roof has a floating effect (it is even possible to choose a contrasting roof color), and the back of the vehicle seems even more dynamically drawn with the black side treatment. All of this breathes the Japanese tradition. What does this mean for the interior? The interior boasts a modern look, with a more inspired dashboard and counters with a classic look. The interior looks neater and more orderly which was requested from customers. The materials have improved in quality a little bit, even if hard plastics are still present. But some buttons and controls seem to have been part of Nissan's material for quite some time. The position of the battery under the seats has certain consequences: the driving position is too high to be comfortable for some, especially since the steering wheel is not adjustable in depth. The rear passengers are also slightly raised, but fortunately, they still have enough space. The back seat is foldable 60/40 but does not form a flat cargo floor due to the presence of the battery. However, the volume of the trunk has improved significantly: 435 liters against 370 liters before. Thanks to a new electric motor and a larger battery, the car is more fun to drive. The engine now develops 150 hp and 236 ft-lbs of torque. This allows it to reach 62mph in 7.9 seconds and is electronically limited to 89mph. How does this 2019 Nissan Leaf roll? 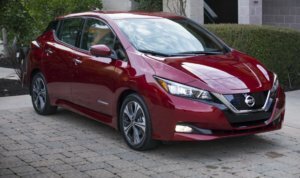 The 2019 Nissan Leaf is more mature than its predecessor. The position of the battery leads to a low center of gravity, which provides effective driving behavior. Of course, the Leaf has no sporting ambitions, but it reacts steadily in curve input. The acceleration is naturally fluid from the start, and it is always on the highway. To spin the right pedal, it will be necessary to monitor the autonomy: out of the 167mph of autonomy announced, there remains only about 124 in practice. 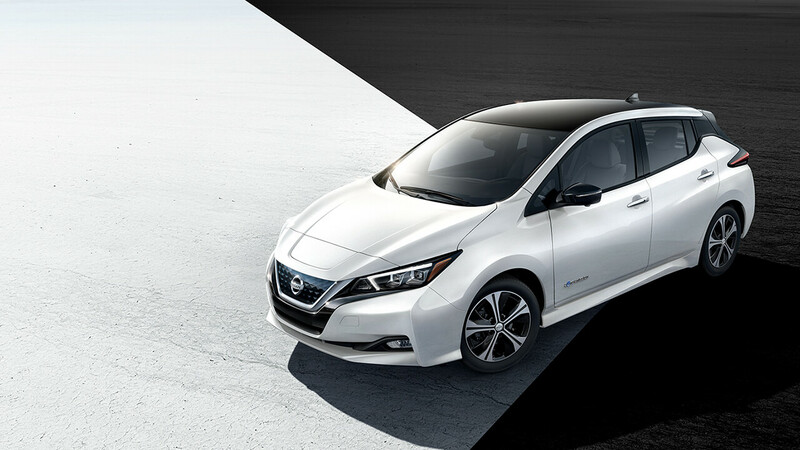 With it, you can control the Nissan Leaf only with the accelerator. When you release the right pedal, the Leaf uses mechanical and regenerative braking force to stop. If you anticipate enough, you do not need a brake pedal, even on a slope. But rest assured: the Nissan still has a classic brake pedal. With a little addition, the system works well, but you can also cut it. The new Leaf is available in four finishes, at the price of $29,900, $32,490, or $36,200. The Nissan Leaf Plus is the long-range version of the vehicle. The e-Pedal is still standard, as are the automatic climate control, rain sensors, automatic headlamps, and the sizeable 7-inch infotainment display. From the basic version, the driving assistance is extended: support with maintaining the lane, warning of the passage of traffic behind the car, alert to blind spots and emergency braking assistance with recognition of pedestrians. For the top model, Nissan offers its ProPilot driver assistance system, allowing the Leaf to drive independently on motorways. Nissan plans to also introduce an automatic parking function. Its competitors are generally more expensive: for example, the BMW i3 starts at $44,062 and the Volkswagen e-Golf at $44300. The new Nissan Leaf is the result of customer feedback. It provides a more discreet style, offers more autonomy and more technology. By becoming a more "a normal car," it will better arm itself against new competitors and continue to sell on a global scale. The significant advance in terms of autonomy and charging time is not over yet, but Nissan is already thinking further: the brand wants to integrate its car into the domestic electrical network!